Sarah operates from her home-based workshop in the heart of rural Hampshire. After 10 years’ of working in an office environment Sarah wanted to pursue a career in something she is truly passionate about and took the decision to move in a very different direction. Now a qualified florist to City & Guild standard Sarah creates beautiful floral arrangements for weddings and events across the country in partnership with her equally as talented Mum, Caroline. Fancy a luxury glamping experience but without the hassle and stress? 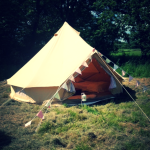 Why not hire a beautiful, fully furnished bell tent from Boutique Bell! Boutique Bell is a small bell tent hire company which operates across Hampshire, Dorset and West Sussex and has been born from a passion for camping (or rather glamping!) and love of all things vintage. Our luxurious bell tent offers you the fantastic opportunity to spend precious time with loved ones under canvas and surrounded by beautiful things! At Olive Weddings we have a stunning range of designs to suit all styles, from vintage nostalgia to damask, country garden to art deco, there’s something special to fit with your day. Combining contemporary wedding styling and stationery design whilst keeping a magical sense of occasion and romance, we can help you strike a balance between elegance and a personal touch with our unique wedding invitations. It’s simple. Choose your favourite design from our selection. Pick out a format to match your budget and style. 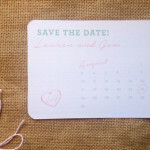 Then you’ll be able to choose the theme colours to match with your big day and from there you can request samples or get started on your personalised stationery. EasyWeddings.co.uk is one of the UK’s largest wedding resources. They know what couples want and how to keep them coming back for more. They are a trusted source for wedding advice and help couples with their supplier selection by providing them with detailed supplier profiles on their site. Katy is a creative documentary style wedding photographer based in Hampshire. She is also one of my regular 2nd photographers. 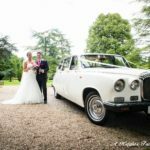 We are a friendly, family run business offering a multi-award winning professional chauffeur driven car service for weddings and special occasions using a vintage 1935 Rolls-Royce that can seat up to 6 passengers and two Daimler limousines that can seat up 7 to passengers.